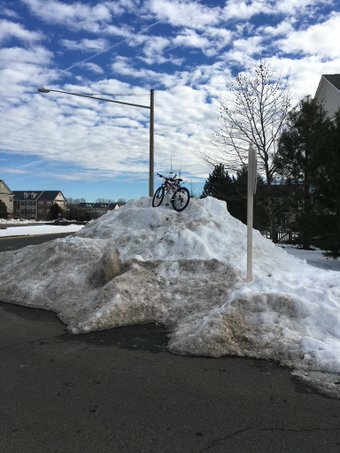 People who walk, bike, and take the bus to work in Prince William County have been significantly impacted long after the recent storm, due to huge piles of snow blocking crosswalks, sidewalks, bike trails, and bus stops. Many crosswalks and Americans with Disabilities Act (ADA) compliant access ramps are still blocked almost 2 weeks after the event. 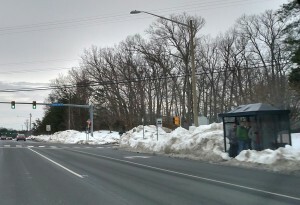 Packed PRTC bus shelter 4 days after the storm passed, 27 Jan 2016. Active Prince William members attended the County’s “Snowzilla Plowing, Plans And Problems” Community Meeting, convened by Occoquan District Supervisor Ruth Anderson, on Saturday, Feb 6, 2016, to point out the lack of pedestrian access on the our sidewalks, crosswalks, and trails. VDOT NOVA, Potomac and Rappahannock Transportation Commission (PRTC), Prince William County Fire and Police, and others including Deputy County Executive Susan Roltsch and VA Delegate Richard Anderson were in attendance to answer questions about the snow storm response. The video below is the WJLA Channel 8 News story about the meeting, focusing on the pedestrian access issues. Rob Delach and Rick Holt, of ActivePW were in attendance. 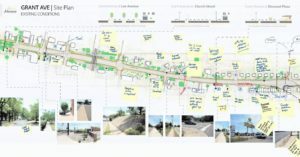 Those most impacted by the blocked sidewalks, crosswalks, and bike paths are predominantly low income and disadvantaged populations in our County. 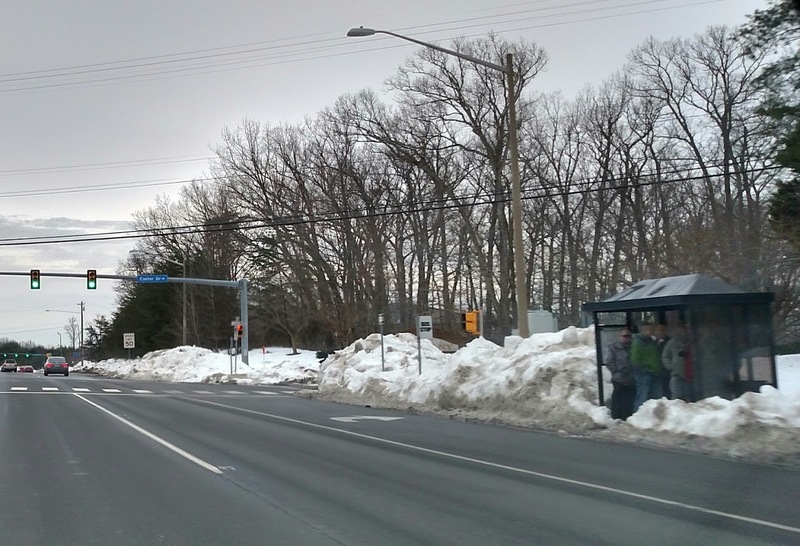 VDOT owns, maintains and is responsible for snow removal on most of the roads in Prince William County, but it is their policy not to clear snow from sidewalks or bus stops along its roadways. To compound this problem, Prince William County residents are not required to clear sidewalks adjacent to their properties, unless they live in the towns of Occoquan, Quantico, or Dumfries, or the Cities of Manassas and Manassas Park. The end result is that few sidewalks in Prince William County are fully passable, almost 2 weeks after the storm. Snow pile blocking PW Parkway bike path on 6 February 2016. Courtesy of Rick Holt. VDOT and PWC do not have funding to clear the sidewalks themselves, so it seems that low or no cost options need to be considered, here are two. Low or No Cost Snow Removal Pedestrian Access Solutions for PWC. Establish a County Ordinance that requires businesses and residents clear sidewalks that are adjacent to their property. 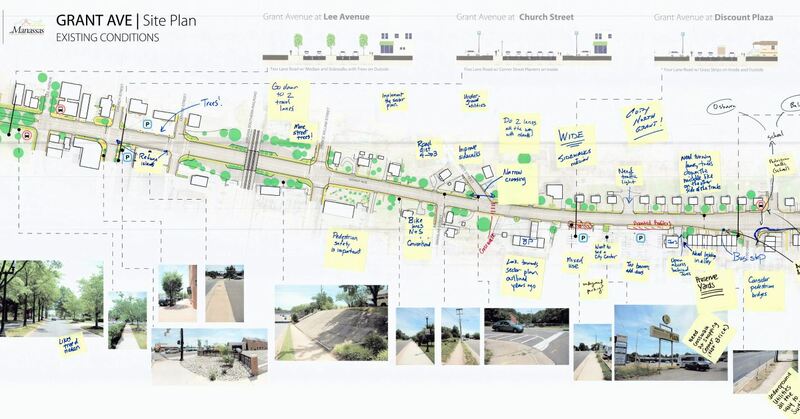 This will help most with residential streets to improve sidewalks for children to get to bus stops and walk to school more quickly after a storm. Gaps will still exist along major roadways. Local ordinances are in place in the towns within Prince William County as well as Manassas and Manassas Park. In fact, 83% of local jurisdictions across the US have ordinances requiring sidewalk snow removal by residents. Promote a volunteer network of residents to clear snow for those who are not able to do so themselves, and to clear key access points such as crosswalks and access ramps at intersections. According to the Federal Highway Administration, Federal Law requires local Departments of Transportation (DOTs) to provide snow removal on pedestrian facilities constructed with Federal funds, saying that “reasonable snow removal efforts” must be taken for pedestrian facilities on federal funded roadways. 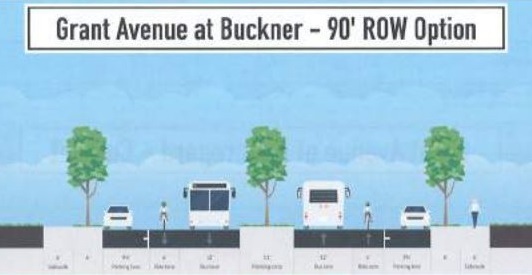 VDOT has patently ignored this stipulation. 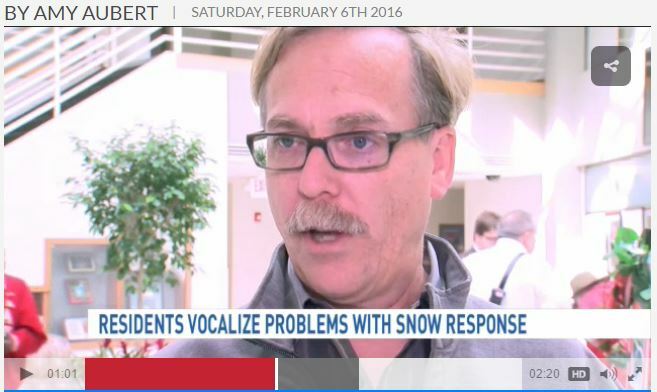 But the problem is far worse than VDOT just not following the federal law, they actively plow huge snowbanks onto the pedestrian crossings and sidewalks, forcing pedestrians to walk in the only place they can, in the roadway. Due to the size of the snow piles, they effectively render those facilities useless for weeks after a large snow storm. For the recent event, now almost 2 weeks after the storm, most crosswalks and ramps are still under several feet of snow.